TBS Oxford are an independent cutting tools distributor. Local to Oxford, we supply high performance & specialist cutting tools to customers throughout the Oxfordshire, Wiltshire and West Buckinghamshire areas. Do you want to reduce your overall machining costs? Are you under utilising your machining centres? Do you appreciate a tailored, responsive and personal service, with rapid turnaround (next day delivery where required)? Is product support important to you? 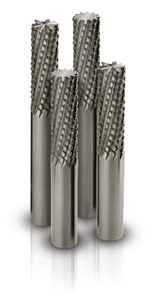 Pick up the telephone and call 01235 355507 today to discuss your cutting tool requirements. We look forward to talking to you! Fax (01235 257770) or e-mail (sales@tbsoxford.co.uk) your component or tool drawing, or simply call on 01235 355507 with your requirements, and we’ll respond quickly to advise price and delivery for high quality bespoke tools – tailored specifically to your needs. Click here for more information on our specials service & to submit your drawings online. We know price is important. But ‘taking cost out of the job’ isn’t just about buying the cheapest tools. TBS Oxford work with manufacturers to provide dedicated product support – with the aim of helping you to reduce production costs through good tool choice and professional application guidance. Call today on 01235 355507 to discuss your requirements. Click here for all latest news & fantastic special offers!! and more... see more details on our product page here.